Sarah LaPolla joined Bradford Literary Agency in 2013 after working in the foreign rights department at Curtis Brown Ltd. Sarah received her MFA in Creative Writing (Nonfiction) from The New School in 2008, and has a B.A. in Creative Writing from Ithaca College. 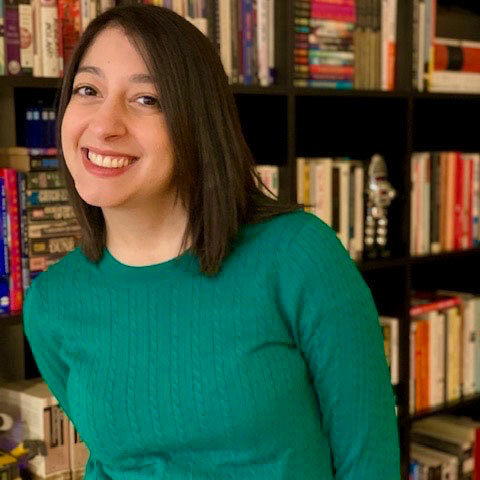 Sarah primarily represents Middle Grade and Young Adult fiction in a variety of genres, as well as select Adult upmarket contemporary fiction, women’s fiction or rom-com, literary horror, and speculative fiction. In MG and YA, she is seeking literary fiction, sci-fi, “low”/contemporary fantasy, horror, rom-com, and mystery. Sarah tends to be drawn to stories that don’t shy away from the darker side of adolescence and often feature characters who defy the odds. Regardless of age demographic or genre, Sarah would like to see more hope and humor, even in the darkest of stories. She is especially interested in diverse casts of characters and in authors who shine a light on voices that have been historically underrepresented. Sarah’s authors tend to reflect larger themes within a character-focused story that, whether overtly or subtly, challenge the status quo. **As of April 15, Sarah is not accepting unsolicited queries. She will remain open to submissions requested from conferences, online pitch events, and contests, as well as previously requested revisions and official referrals. All unsolicited queries received after April 15 will be deleted unread. Thank you for your patience and understanding!